We pushed out Shareaholic v1.3.3 this past weekend! This version was a near complete re-write, with many interface, functionality and under the hood improvements. 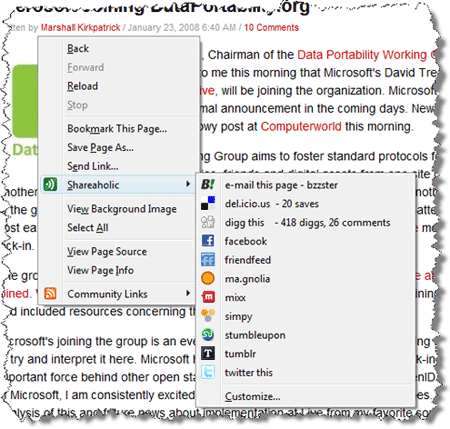 Check out the latest release at shareaholic.com, and remove some of the clutter that piles up from installing all those social bookmarking and sharing bookmarklets!! 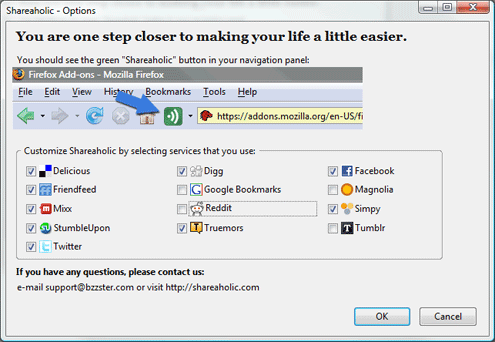 Shareaholic v.1.3.3 supports the latest version of Firefox 3 – beta 2 ! Now when Firefox 3 rolls out, you’ll be able to keep sharing with minimal interruption. 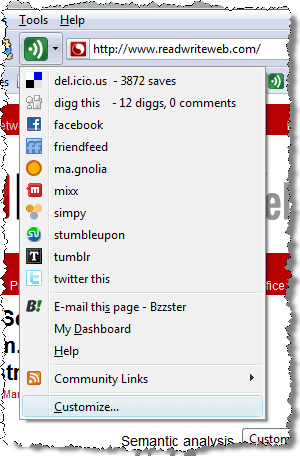 In addition to the main menu, the context menu now displays Digg and Del.icio.us stats as well!